All-ages fun in Toronto doesn't stop when the weather gets colder. As leaves change colour and wool sweaters come out, Toronto comes alive in a whole new way while summer transforms into beautiful autumn. For today's post Preston Apartments wants to share three kid-friendly events in or near Toronto where families can welcome the new fall season. Toronto's famous High Park is more beautiful (and scary) during autumn. Families with children eight years and older can enjoy playful and spooky fun at Haunted High Park on October 25, from 6:30 - 7:30 p.m. and 8 - 9 p.m. Hosted at Colborne Lodge, the park grounds transform into a fright of ghost stories and haunting legends. Entry is $12.50 for adults and $7.50 for children (plus tax) with refreshments provided. Families should preregister with Colborne Lodge by calling 416-392-6916. From 25 St. Dennis Drive take the 100A Flemingdon Park bus to Broadview Subway Station then head west on the Bloor-Danforth Subway to High Park Station. Riverdale Farm is an animal lover's paradise in central Toronto. Admission is free for all to explore the 7.5 acres of pathways, ponds and gardens. Riverdale Farm also features a variety of attractions like a pig and poultry barn, Victorian-style farmhouse and Old Zoo Ruins where children have a chance to learn how a farm really works. Great things to do at the farm include chatting with the farmer during daily chores, visiting the Cabbagetown Regent Park Community Museum or hosting a birthday party. From 25 St. Dennis Drive head south on the 100A Flemingdon Park bus to Broadview Subway Station and transfer to the 504 King streetcar. Get off on Broadview Avenue at Langley Avenue. In the heart of Downtown Toronto you'll find the John Street Farmers Market. Never has it been so easy to access a community of local farmers, artisans and merchants who provide some of the best locally produced and sustainable products in the city. Open on Wednesdays until October 30th from 3:30 p.m. to 7 p.m., John Street Farmers Market is free for families to sample produce from Big City Greens, yogurts and vegan treats, Caribbean sweets from Plum Bun Bakery and live music. This year the official coffee vendor is Big Wheel Café who will be serving up quality coffees and brews. The quickest route from 25 St. Dennis Drive is south on the 100A Flemingdon Park bus to Broadview Subway Station. Transfer on the 505 Dundas streetcar, stop at McCaul Street and walk south to Stephanie Street. Families at 25 St. Dennis Drive (25 St. Dennis Drive) can enjoy one or all of these activities during the autumn season. 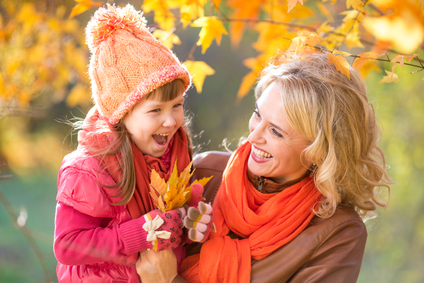 For more information about other fall events for all ages, visit this guide.